Following textile recycler USAgain’s recent restructuring of its Chicago service area, three locations remain for county residents who want recycle unwanted or damaged clothing, bedding, towels, shoes and other textiles, the La Porte County Solid Waste District announced Thursday. 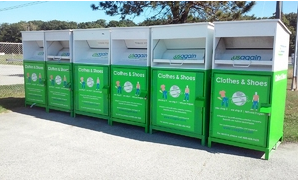 In the past few years, USAgain installed about two dozen of its green and white textile recycling bins in sites around the county, District Recycling Coordinator Nancy McVay said. They were initially going to pull out of La Porte County all together, but the District convinced them to maintain a few sites in convenient locations for residents, McVay said. In La Porte: Outside our office at 2857 W. State Road 2, or in the handicap parking lot near the entrance to the La Porte County Fairgrounds. 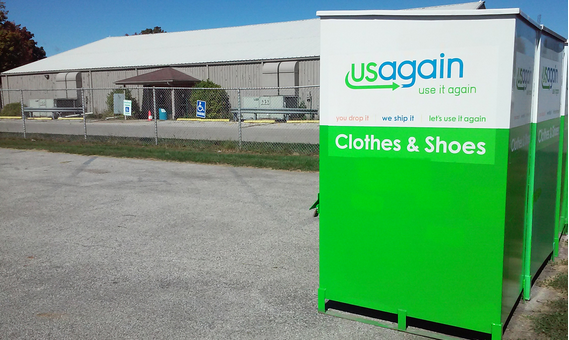 Textiles in good condition, as well as those with rips or stains, can be recycled in these USAgain bins. The items are reused or recycled in many capacities, from secondhand clothing markets to industries that use them to make things like rags or insulation.